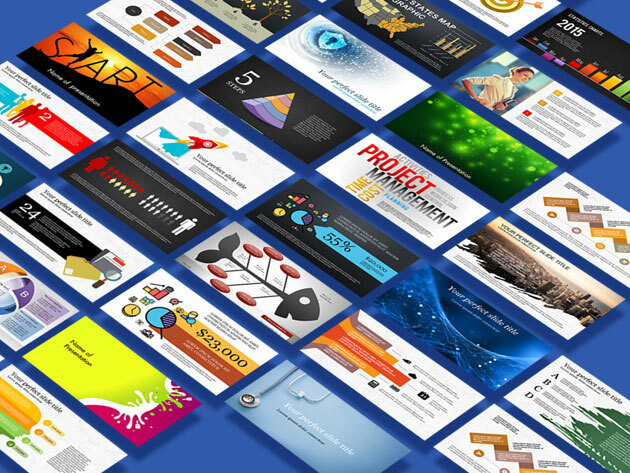 A lifetime subscription to Powdered Template grants you access to more than 50,000 Powerpoint slides. Regardless of what industry you’re in, you’ll probably have to give a visual presentation at some point in your career. Some people love digging through PowerPoint to find the perfect template, images, and animations for slideshows, while others feel overwhelmed the moment they open the program. No matter which side of the fence you’re on, you’re limited by the styles and colors available in PowerPoint. A lifetime subscription to Powered Template’s Silver Membership grants you access to more than 50,000 slides for a next-level presentation. Powered Template helps you pitch investors, recap last quarter’s earnings or brief your team on a new project with thousands of gorgeous templates. They’re available in pre-formatted editable templates, and there are new arrivals every week to keep your presentations fresh. You’ll get 30 free downloads per month, and you’ll even get to keep the downloaded items that you don’t use. Powered Template also goes beyond PowerPoint with MS Word templates, charts, diagrams, and brochures, so you’re covered no matter what your presentation calls for. A lifetime subscription to Powered Template’s Silver Membership would usually set you back $999.75, but right now you can kick your presentations into high gear for only $99.95 (90% off).